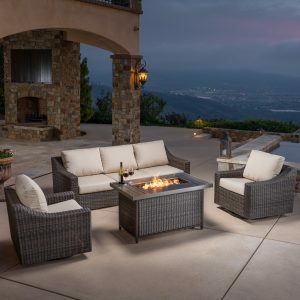 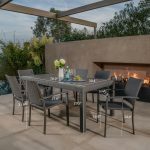 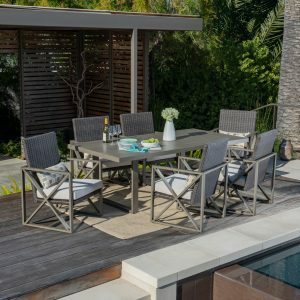 Create a stylish and comfortable outdoor living space with the Silverlake 7-piece Dining Set by Mission Hills®. 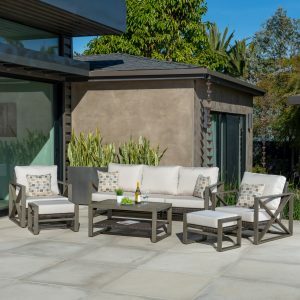 This set features modern lines, hand-woven wicker, and cool shades of Gray. 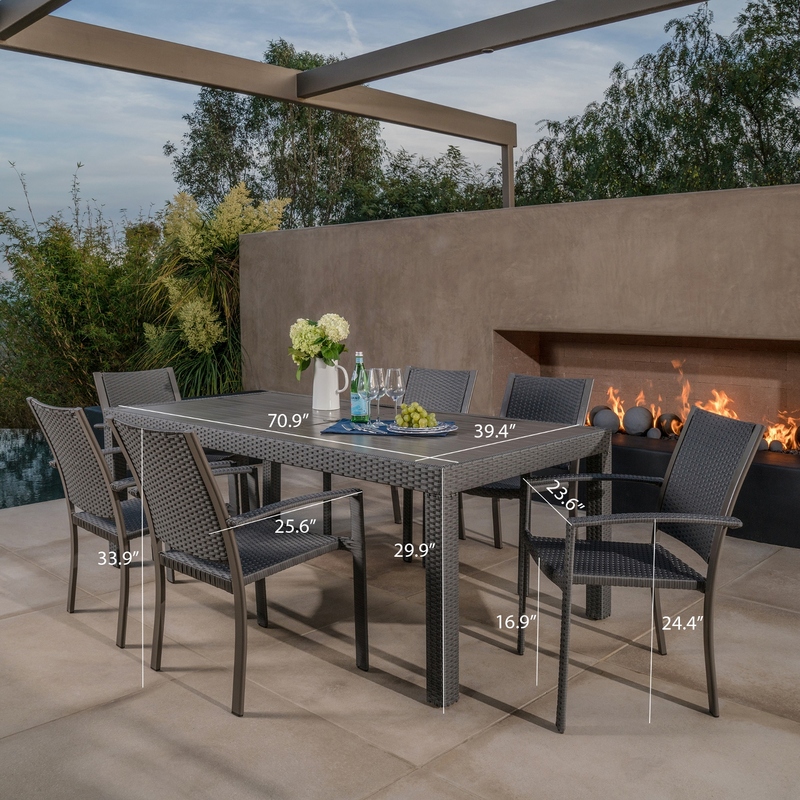 The spacious rectangular dining table seats six. 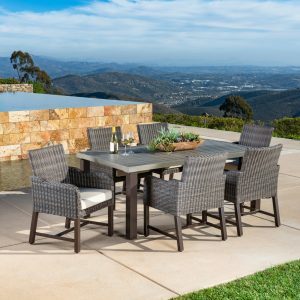 This dining set includes one dining table and six stackable armchairs. 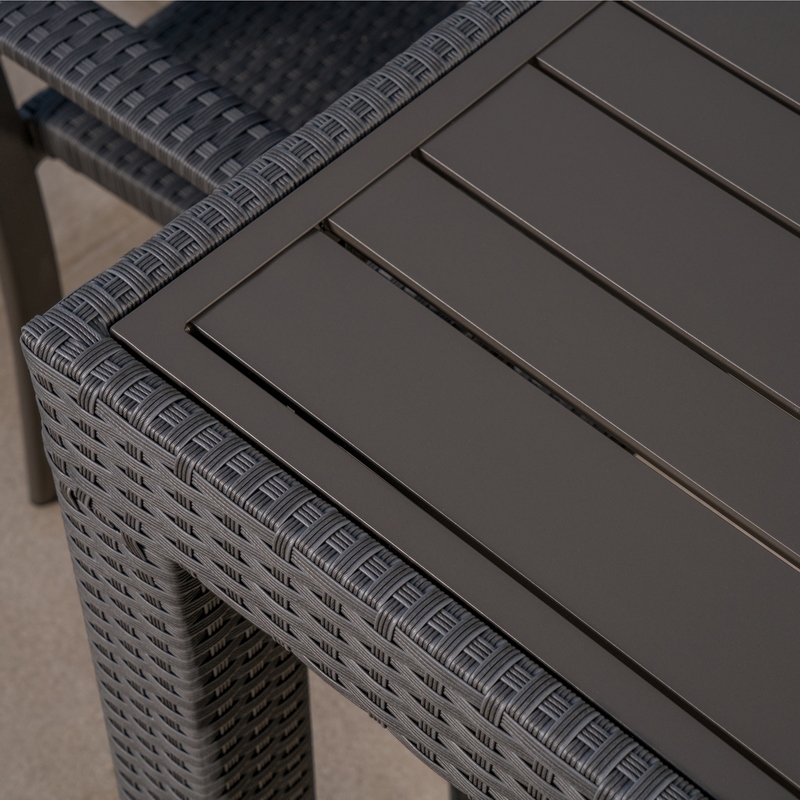 The aluminum slat table top won’t warp or fade in the sun. 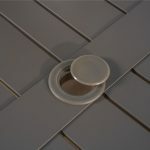 A matching Gray tone umbrella pass-through to accommodate up to a 1.5″ diameter pole (umbrella not included) is also provided for additional shade options. Table requires minor assembly. 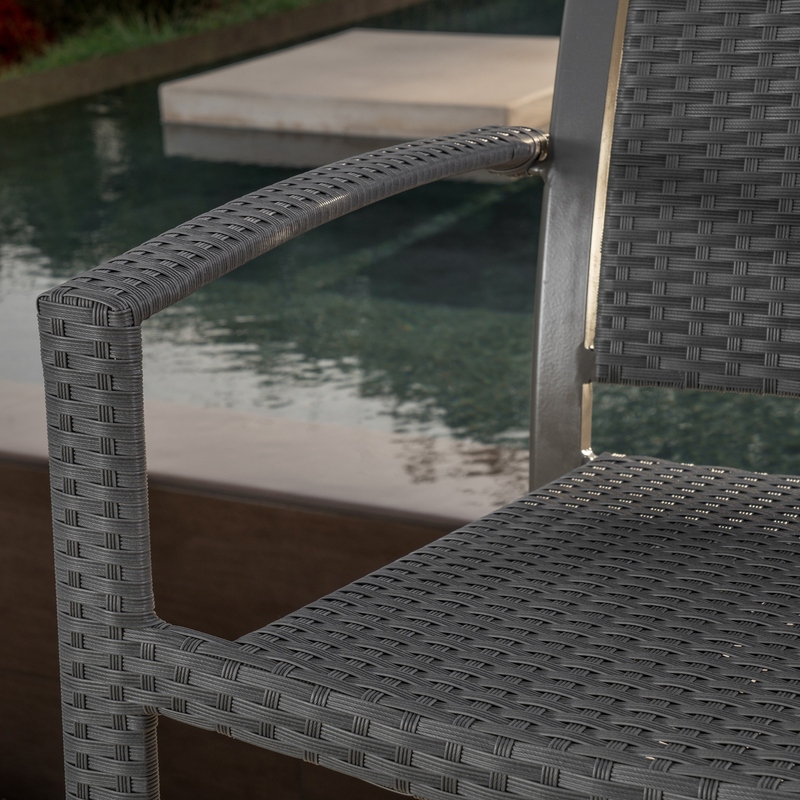 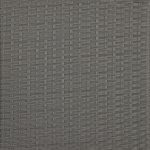 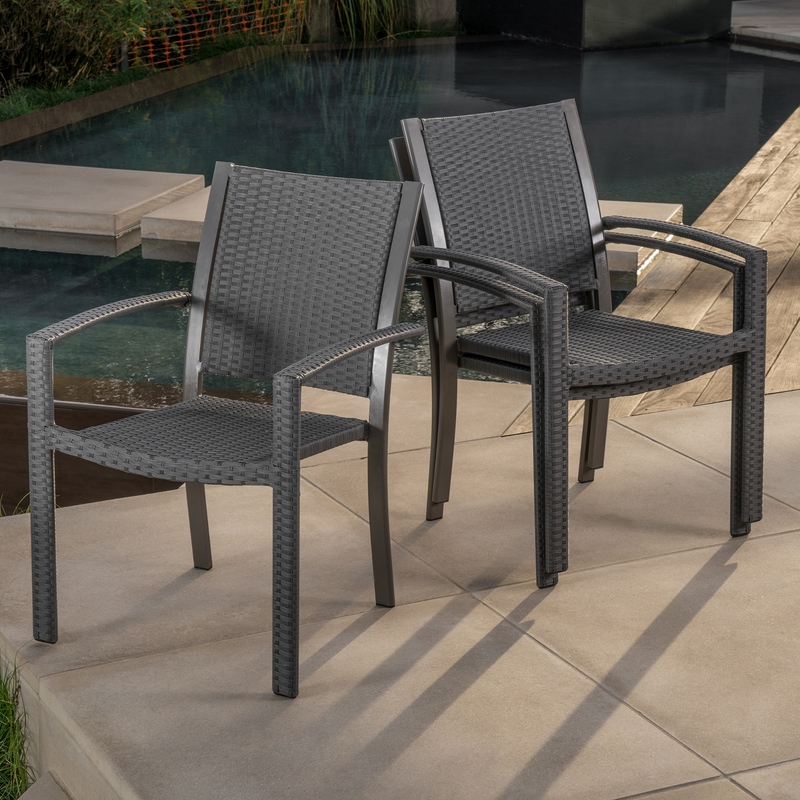 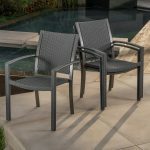 The included stackable dining chairs are outfitted with matching Gray wicker and sleek Gray tone powder-coated finish. 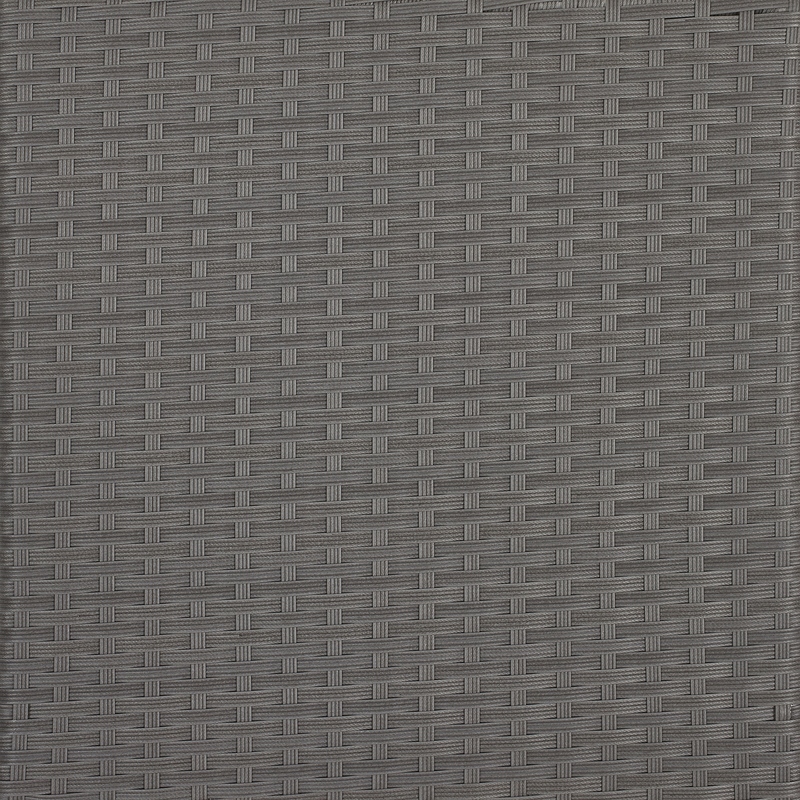 79.9" L x 39.8" W x 29.1" H, 49.5 lbs.